When people pack for relocation they often think that they can do it properly on their first try. No guidelines needed, no advice required. But, what ends up happening is that they pack so poorly that they cause moving mishaps and even moving accidents. One of the biggest contributors to that is not having proper storage materials. 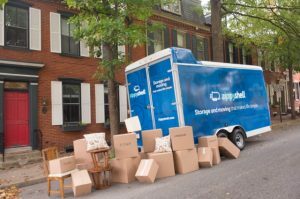 While your everyday boxes can be used for some situation, every experienced mover knows that bins storage Columbus Ohio are best suited for every type of relocation. Furthermore, there are numerous instances in everyday life where plastic bins can be of great utility. Here is what you need to know. In order to properly utilize bins storage Columbus Ohio, you need to know about them as much as you can. Although they are pretty straightforward in their design, their potential is rarely used to the fullest. Here we will describe different uses for storage bins and how you should approach utilizing them. The more you think about it the more you will realize how versatile plastic bins storage Columbus Ohio is. The most common use of bins storage Columbus Ohio is for relocation. Whether you are transporting regular items, or you are using some on-site storage during a renovation, storage bins will be your best bet. Top quality plastic will protect your items from weather changes and physical force. Therefore, you don’t have to worry about your items as if they were in a simple cardboard box. Although, what we urge you to do is to properly wrap and pad your items before placing them inside storage bins. Even though our bins are top quality, we cannot guarantee that nothing will happen. If you are unsure about how to pack your items, let us do it for you. That way you will increase the safety of your items tenfold. Another way in which people generally use bins storage Columbus Ohio is for everyday use. More often than not you will find yourself needing a reliable container for your items. For those situations, your best course of action will be to come on down and get yourself some plastic bins. Their utility around the house will the tremendous as you will easily be able to stack them and reuse them. No longer will you have to struggle to organize your garage properly during winter. Whether you are putting away your books or saving your Christmas decorations for the next season, plastic bins will do you more good then cardboard boxes ever could. As anyone who has experienced it will tell you, quality containers are extremely important when it comes to reliable storage. Especially if it is long-term storage. Mind you, you will need to properly pack your items for storage. But, if you do, our quality containers will be of great use. The longer you need to store your items, the better containers you will have to use. And you cannot get much better than bins storage Columbus Ohio. Our bins will make sure that your items remain safe and sound throughout their time spent in storage. Plus, you will easily be able to handle our bins as they will not get deformed or cracked due to time or pressure. You should only use cardboard boxes for short-term storage. The longer you use them the less reliable they are. The only advantage that cardboard boxes have over bins storage Columbus Ohio is that you can find them for free. By asking around your neighborhood stores you will be able to find a nice little number of cardboard boxes. But, if you are serious about storing your items, you will soon find that the money you spend on plastic bins is well worth it. And if you factor in the risk and the potential cost that cardboard boxes can bring you, you will find that plastic bins can even be the cheaper option. The first flaw that people overlook when getting containers is the moisture. Moisture is everywhere. You can only mitigate it if you put your items in a climate controlled storage unit. But, still, a little spill or an accidental drop in a puddle of water can easily render your cardboard box unusable. If you keep that in mind you will soon see why bins storage Columbus Ohio area tremendously safer container then cardboard boxes could ever be. Especially if you plan on storing your items for a long time. How many times do you think you can reuse a cardboard box? Three? Maybe four, if you are careful? Well, with plastic bins you are in a much better situation. Comparing the durability of plastic versus cardboard is laughable. Therefore, using your cardboard boxes for any serious storage is not only unreliable but dangerous. Plastic bins that we provide will serve you after years of reusability. You can freely reuse them countless times and put different objects in them. Whatever test you put them on, our plastic bins will come through. Furthermore, they will make keeping track of your storage unit much easier. Try that with any cardboard box and you will soon see that if you consider storage seriously, you can only use plastic bins. Do yourself a favor and make sure that your items are properly stored. Another thing that cardboard doesn’t agree with is pressure. Place one box on top of the other and you will soon see how the weight deforms it. Let alone if you have to stack up numerous boxes. You will be soon left with a big pile of ripped boxes and broken items. Well, in order to prevent that from happening, you need to get yourself some plastic bins. With the quality of plastic that we provide, you will be able to stack your bins as tall as you like. There will no risk of them getting deformed or collapsing under pressure. Furthermore, you will be able to place items in them that no cardboard box could hold. Weight is no problem when you use bins storage Columbus Ohio.